Macfie & Co Management Services Ltd.
Macfie & Co. is one of Scotland’s longest-established property management companies, originating in Glasgow’s Gorbals in 1870. Macfie & Co. Management Services Ltd.
Macfie & Co. is one of Scotland’s longest-established property management companies, with origins dating back to the firm of John Laing, established 1840. The firm of John Macfie originated in the Glasgow Gorbals in 1870. Based in the South-side of Glasgow, the company has a team of friendly and professional advisors, dedicated to providing advice on many aspects of property management, including factoring and residential letting, and for many types of property, from tenement blocks to modern developments of new-build homes. Macfie & Co. is responsible for an extensive portfolio of properties located throughout the West of Scotland. Our core services encompass maintaining communal aspects of multi-occupancy blocks. Our portfolio of properties extends across Scotland’s Central Belt and with a track-record in dealing with Assured Tenancies spanning more than 25 years, we are geared towards the smooth-running of any tenancy. 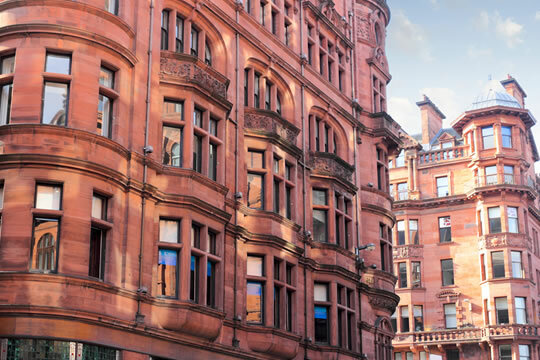 Macfie & Co. have a wide portfolio of properties available to rent throughout Glasgow and the surrounding area, keep checking our website for up to the minute offers for our current properties to let.